This replacement filter measures 7 inches tall by 8 1/2 inches wide. 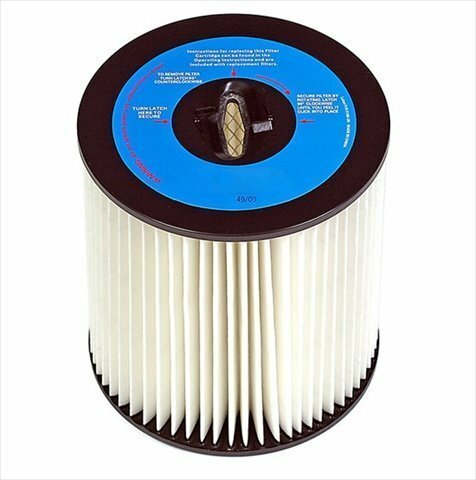 Fits Models: This filter fits both Electrolux and Aerus central vacuums. Should be cleaned or replaced every 30 days. This is not a Aerus® OEM product and is not covered under any Aerus® manufacturer's warranty. Please check your manufacturer's warranty with regard to the use of non-Aerus OEM parts. We provides no warranty or guarantee with regard to the product or its compatibility with your Aerus® product. The Aerus®, GUARDIAN®, TURBO®, LUX®, ELECTROLUX®, SIDEKICK® brand names and logos are the registered trademarks of their respective owners. Any use of the Aerus® brand name or model designation for this product is made solely for purposes of demonstrating compatibility. Designed to fit the vacuum models listed below and more: Cetralux Broan Aerus Air Vac AV400, AV410, AV480, VM110, VM600, as well as some VM180 with foam filters, Hayden Vent-a-Vac Vacumaid. 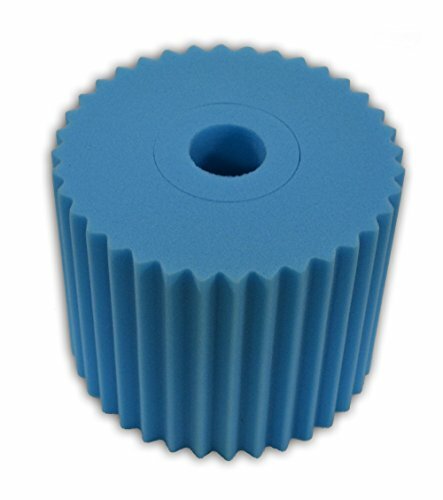 Filter is washable and replaces all other colored and ridged similar sized foam filters. 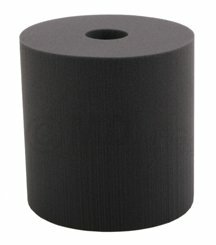 For a taller 6 inch filter, order two and stack them together and cut to correct height. 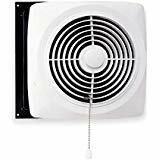 HEPA filtration system traps and seals-in 100% of dust mites, pollens, ragweed, microscopic particles, bacteria, mold, germs (as small as 0.1 micron), other allergy causing agents, and 99.9% of pet dander. 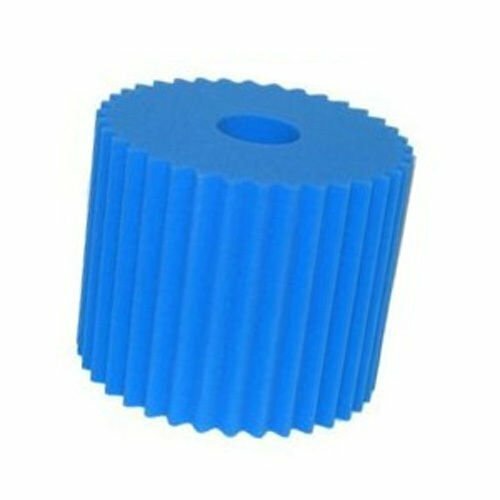 This listing is for a new foam filter made for Centralux, Electrolux, Aerus Central Vacuum systems. 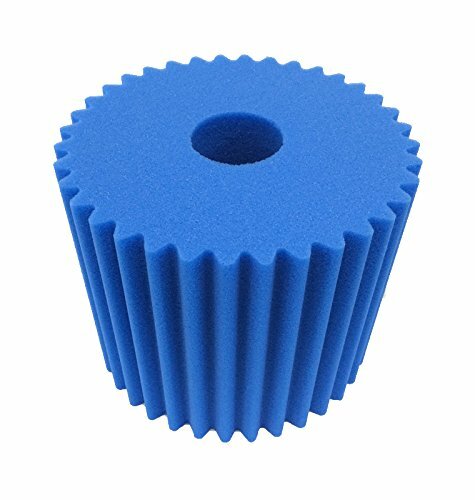 The size of this filter is approximately 7 inches tall by 8.25 inches wide. Our parent company is one of the world's largest manufacturers of foam products, with production plants in three countries around the world. We guarantee the quality of our work and our products. 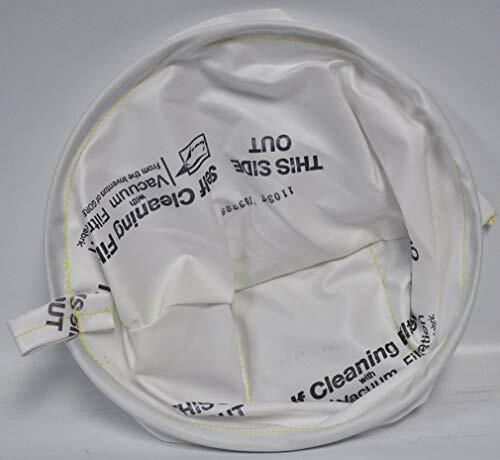 Premium non-woven cloth material provides superior filtration. 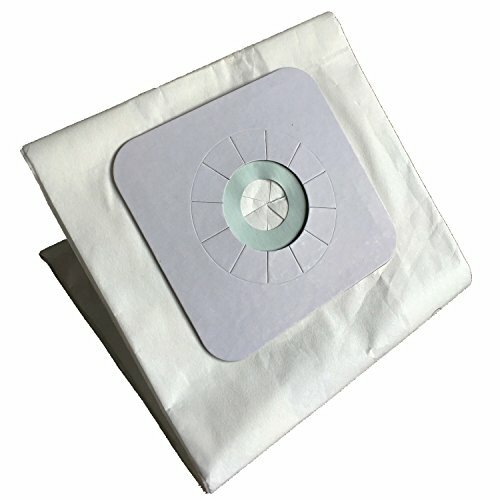 Designed to fit and compatible with central vac systems and manufacture part numbers: Electrolux TypeK, 110025, 110056, 110360, 391, 44186, Vacuflo200 bag 6528, Filter Aire 90610, Eureka 90610, Eureka 54585, 026VS-110360, Type 210, Kenmore 50500 (35-20001), Kenmore 108-34644 system with 060115-1 type bag. BU160, 165 BU165, PU300A, all Powerline Central Vac Systems, V165, 167 Condo, 166, 167, 167C, 167S, 168, 168C, 169, 169C. Eureka CVS5000, Eureka CVS6000,Eureka CVS7000, Boss, CV107H, CV137H, CV825, CV920, CV1001, CV1004, CV1601, CV1801, CV1804, CV1810, CV1004B, CV2104B, CV2301, CV3120B, CV3120C, CVS4000, CV550QA, CV-Mini - CV3120F CV5500 - CV3121H, CV6500i - CV3291L. 110360, 110025, 110056, 391, 44186, Vacuflo200 (bag 6528), Filter Aire 90610, Eureka 54585, Electrolux TypeK, 026VS-110360 VacSite , Type 210, etc. ** Brand names and models are used to indicate compatibility. Brands are registered trademarks of the respective owners. 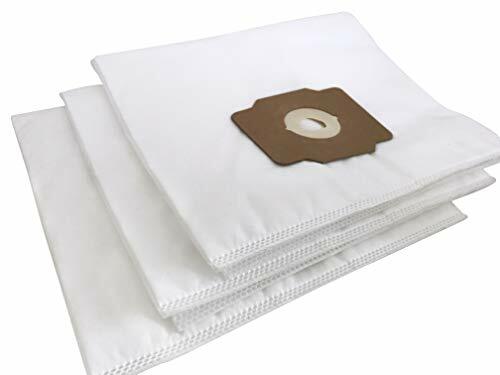 CF Clean Fairy Disposable Vacuum Cleaner Bags 9 Piece NuTone 391 Central Vacuum Bags, Electrolux - Compatible with Nutone VX475, Nutone CV353, CV450, CV391, CV400, CV350,CV351 44186, CV352,CV653 CV750,CV-391, CF3918, Nutone Advantage, Beam 167,Nutone CV10, Nutone CV553, Nutone 110025, Nutone 110056, Nutone Classique Series, Electrolux 167, Electrolux 3067, Electrolux BU165, Electrolux V165, Beam 3067, Beam BU165, Beam V165 We recommend replacing your vacuum bags every 30 to 60 days (or 2/3 full) for best performance Note that this is an aftermarket replacement vacuum cleaner bag manufactured by Clean Fairy. Any vacuum cleaner manufacturer brand name is used solely for the purpose of demonstrating compatibility. 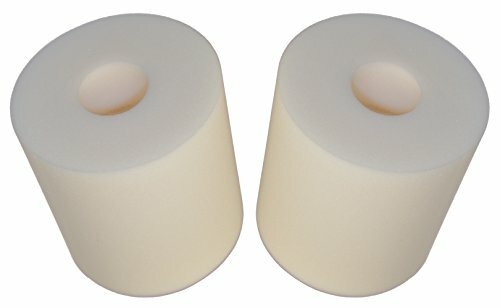 Electrolux / Filtex central vacuum cleaner replacement foam filter. Each package contains 1 filter. Central Vacuum Exhaust Filter fits ALL BRANDS incl Electrolux Aerus Centralux Air Vac Hayden Vent-A-Vac M & S Broan and others by LifeSupplyUSA. 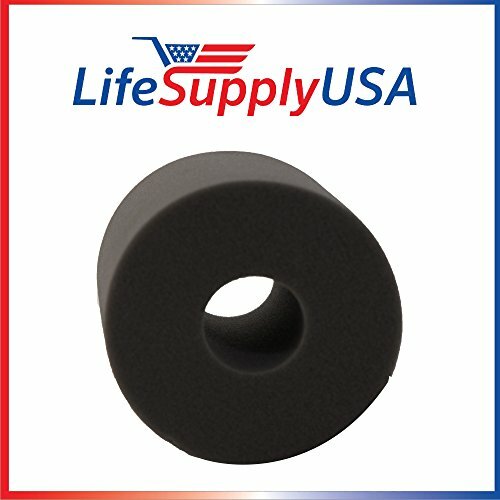 This is a high quality replacement part by LifeSupplyUSA exclusively for sale by LifeSupplyUSA. Any brand names or logos are the registered trademarks of their respective owners. Any use of any brand name or model designation for this product is made solely for purposes of demonstrating compatibility. The Honeywell 4B-H403 Central Vacuum System Power Unit features a powerful 500-Air Watt, 120-Volt, 13.7-Amps Dual-stage motor delivering 110-Inches of suction power to Honeywell's central vacuum system. The Honeywell central vacuum system power unit features a durable steel construction with a motor protection system, a permanent self-cleaning HEPA triumph air filter, a 4-Gallon dirt receptacle with viewing window, and a mounting bracket for easy and secure anchoring. The Honeywell motor delivers enough power to clean up to a 3,000 square foot space. While delivering heavy-duty power, the Honeywell unit's noise-reducing technology ensures exceptionally quiet operation. The Honeywell 4B-H403 Central Vacuum System Power Unit measures 11-inches in diameter and 33-inches in height and carries a 5-Year limited warranty. Honeywell Central Vacuum systems represent the very best in design and manufacturing and offer a truly superior option to a traditional vacuum. 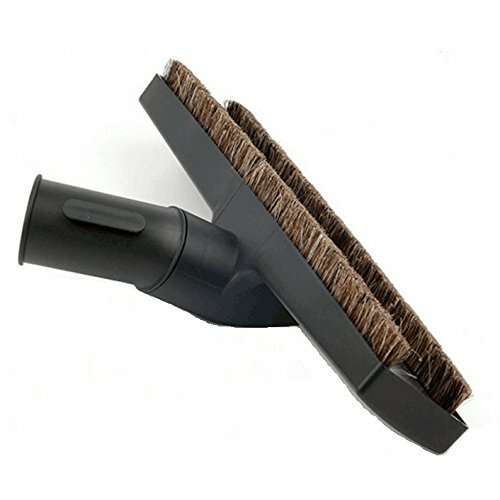 Compatible with the following models: Compatible with all vacuum cleaners accepting 1-1/4incn inner diameter attachment Rainbow, Kirby, Sirena,Filter Queen,Fuller Brush,Tristar,Bissell,Oreck,Eureka,Panasonic,Royal,Dirt Devil,Shop Vac Package Included: 1* 32mm Multi-Surface Floor Brush Attachment Contact Us: Make sure to fit model, specific details please consulting customer service.Anboo is a Professional vacuum cleaner accessories vendors, not only have a Professional manufacturer, as well as a Professional team. Any problems, we will resolve for you within two business days. 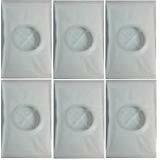 6 x 6 inch Central Vacuum Foam Filter fits Electrolux Aerus Centralux Air Vac Hayden Vent-A-Vac M & S Broan and others by LifeSupplyUSA. 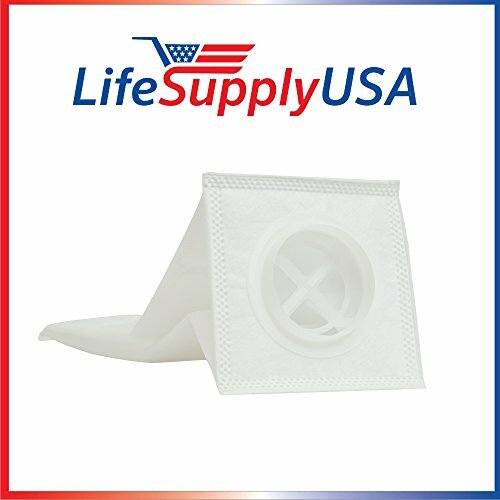 This is a high quality replacement part by LifeSupplyUSA exclusively for sale by LifeSupplyUSA. Any brand names or logs are the registered trademarks of their respective owners. Any use of any brand name or model designation for this product is made solely for purposes of demonstrating compatibility. We at ZVac believe in Healthy Living. We thrive to produce OEM grade product for a fraction that manufacturer's cost. ZVac as a brand has a wide range of vacuum cleaner bags, filters and parts that are; all made to fit various brands. ZVac Vacuum Accessories have been designed and engineered to meet the industry's toughest standards ensuring Quality and Compatibility. Best Bang for your Buck! ZVac premium products are manufactured using OEM grade raw materials while providing you savings. Fits Perfectly! Zvac products are engineered to meet the industry's toughest standards ensuring Quality, Fit and Ease of Installation. Unmatched Quality! 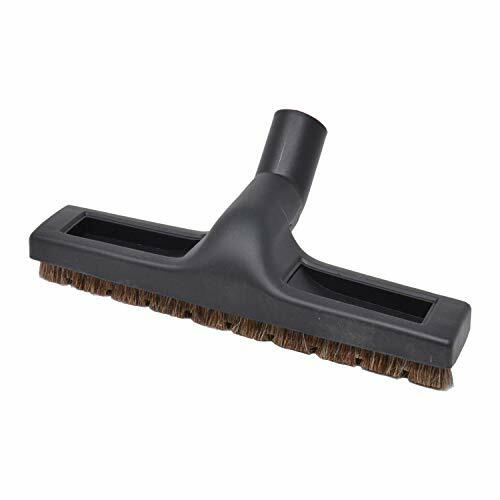 Our products are subject to intensive testing to ensure your family's safety by providing the best clean for your home.12" Floor brush with 1.25 inch diameter has bottom wheels and superior horse hair for better dirt removal. Fits vacuum cleaner hoses and wands with 1 1/4" opening. 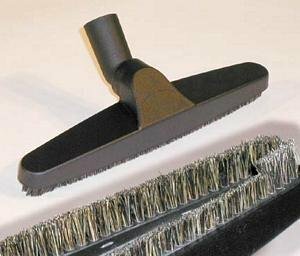 This floor brush is perfect for Riccar, Eureka, Panasonic, Simplicity, Carpet pro, Bernina, Evolution and many other brands which accept 1 1/4" or 32 mm fittings. This unit's 16-inch cleaning path and easy maintenance features deliver a speedy clean. With a Quick Kleen fan chamber and its shake-out bag system, this vacuum is a top performer. Standard filtration, dust capacity: 18 dry qts. Motor 145 CFM, 79 dB per ASTM.